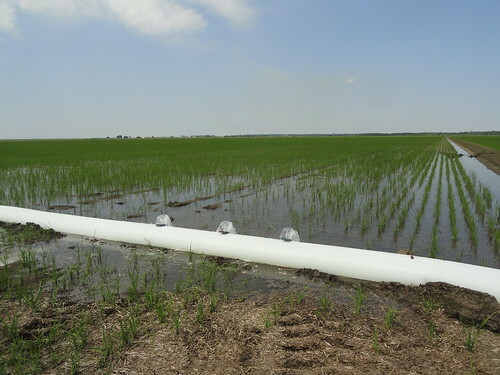 Arkansas Rice Growers implement precise water management to reduce greenhouse gas emissions by utilizing poly pipe and alternate wetting and drying. Photo credit: Adam Chambers. “This partnership is blazing a trail for rice growers throughout the country to benefit from the power of environmental markets and diversify their on-farm income by implementing climate-smart conservation practices,” said Robert Bonnie, USDA’s Under Secretary for Natural Resources and Environment. Rice growers in the United States who voluntarily implement conservation practices that reduce greenhouse gas emissions can now have those emissions quantified, third-party verified, and ultimately sold as carbon credits into California’s regulatory market. 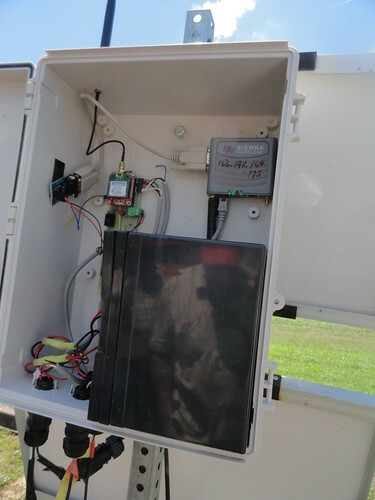 Telemetric water monitoring station developed under an NRCS Conservation Innovation Grant (CIG) to verify and report date-stamped soil moisture data for compliance with California Rice Production Carbon Offset Protocol. Designed and fabricated by a very innovative team of producers, thought leaders, and technicians in Arkansas and Mississippi. Photo credit: Adam Chambers. This multi-year effort was accomplished with the financial support of a 2011 Natural Resources Conservation Service (NRCS) Conservation Innovation Grant and through the determination of a team led by Environmental Defense Fund, with help from the American Carbon Registry, Terra Global Capital, California Rice Commission, the White River Irrigation District, and numerous rice growers in California, Arkansas, Mississippi, and Louisiana. The conservation techniques implemented by rice farmers to reduce greenhouse gas emissions—dry seeding, precise water management, and nutrient management—also have multiple co-benefits, including more efficient use of water, reduced offsite water quality issues, precise nitrogen fertilizer use, maintained yields, and protection of migratory bird habitat. 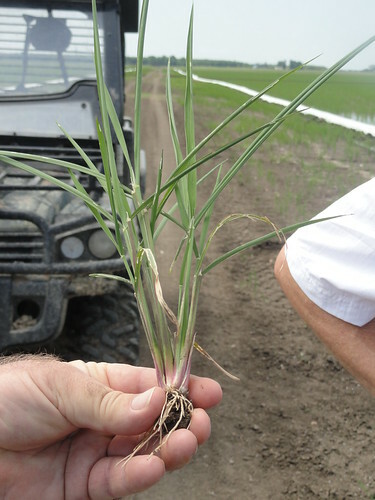 Rice seedling at the stage of first flood, grown with dry seeding in Arkansas. Photo credit: Adam Chambers.